On World Diabetes Day, Sare Safi (Researcher, Ophthalmic Research Center, Shahid Beheshti University of Medical Sciences, Tehran, Iran), Dr Seyed-Farzad Mohammadi (Associate Scientist, Translational Ophthalmology Research Center, Tehran University of Medical Sciences) and Dr Hamid Ahmadieh (Professor of Ophthalmology, Ophthalmic Research Center, Shahid Beheshti University of Medical Sciences, Tehran, Iran) on maximizing Diabetic Retinopathy Visual Impairment Control through Diversified Approaches. The focus of World Diabetes Day 2018 is family. Diabetic Retinopathy (DR) and the resultant visual impairment has an adverse impact on the function of the family. It can lead to dependency, decreased productivity of the family and “caregiver morbidity”. In Iran, the prevalence of diabetes in adults is 11.4%. Now, almost 5 million Iranians older than 25 years have diabetes. About 30% of persons with diabetes have some degree of DR in Iran. The World Health Organization (WHO) recommends integrated people-centred services for health care. To achieve best models for diabetes eye care a situation analysis, defining service delivery levels and identifying the gaps are crucial. The WHO recommends a valuable tool for assessing diabetes and DR management systems as well as the network between these two care services in a country. The “Tool for the assessment of diabetic retinopathy and diabetes management systems (TADDS)” assesses seven important aspects of diabetes and DR management systems. The diabetes and DR management systems were evaluated in Iran using TADDS in 2015. The results demonstrated that diabetes was listed as one of the health priorities in Iran, and that there were policies and programmes in place for control and management of diabetes and related complications. The clinical guidelines for diabetes and DR were developed and adapted for Iran. However, the DR clinical guidelines should be more widely adopted in the country and its use monitored. Although, there are diabetes services and DR screening services, the availability and the interaction between diabetes and DR care delivery systems should be enhanced. 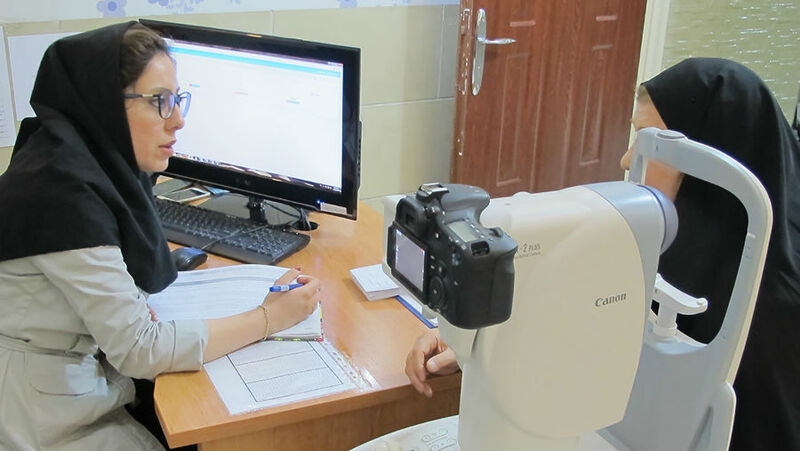 The tool also showed that the availability of modern technology and health workforce for diabetes and DR care were at acceptable levels in Iran–though the distribution of care providers should be improved. Promotional programmes for diabetes and DR exist in Iran. However, such programmes should be more sustained and cover all people with diabetes. Along the TADDS report development and later, the ongoing programme(s)/model(s) in the country for diabetes and DR care were more deeply analyzed as follows. diabetes-centered (itself subdivided into governmental and NGO-led; occasionally supported by m-Health). This can be confusing, but at the same time provides multifarious opportunities for DR control. These models are being piloted on different scales so, we have to periodically evaluate their cost-effectiveness. The major challenge would be to transform this multi-model approach from isolation to integration. The health system in our country is changing. This migration process is the challenging phase because of financial barriers, changing the structure of human resources, and other such issues. “The Global Compendium of Good Practice for Integrated Care for Diabetes and Eye Health” launched at IAPB 2018 Council of Members in Hyderabad is another excellent guiding resource for integrating eye care and diabetes. It lists several strategies to facilitate the synergy between eye care and diabetes care. These are extracted from the case studies and classified into four categories including “integration of eye care into routine diabetes care/primary care”, “integration of diabetes into comprehensive/primary eye care”, “horizontal and vertical integration of services” and “integration of DR policies, guidelines and training into all relevant national health policies, and guidelines”. International Diabetes FederationIDF Diabetes, 7 ed. International Diabetes Federation: Brussels, Belgium, 2015. Available at: http://www.diabetesatlas.org. Esteghamati A, Larijani B, Aghajani MH, Ghaemi F, Kermanchi J, Shahrami A, et al. Diabetes in Iran: Prospective Analysis from First Nationwide Diabetes Report of National Program for Prevention and Control of Diabetes (NPPCD-2016). Sci Rep. 2017 Oct 18;7(1):13461. doi: 10.1038/s41598-017-13379-z. Katibeh M, Kalantarion M, Mariotti SP, Safi S, Shahraz S, Kallestrup P, et al. A Stakeholder Perspective on Diabetes Mellitus and Diabetic Retinopathy Care in Iran; A Qualitative Study. Arch Iran Med. 2017 May;20(5):288-294. doi: 0172005/AIM.006.